Praful Shah is responsible for defining the company’s business, product, and marketing strategy. Shah brings more than 20 years of experience with major technology companies in the software and cloud industries. Before joining RingCentral, he worked at WebEx from its founding days until its acquisition by Cisco in 2007. At WebEx, Shah held various executive management positions, including Vice President of Strategic Communications, Online Products, Product Marketing, and Business Development. 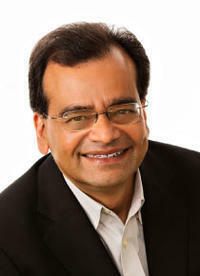 Shah previously served as the Senior Director of Marketing for the database and internet products divisions at Oracle.